When I moved into this house two years ago, many of the previous owner’s belongings were left behind. Hangers, gas detectors, and blinds were there, as one might expect. But there were also buckets, a fairly nice set of knives, and a full dining room set tucked away in a corner of the basement. I shrugged it off and let it go. I replaced the gas detectors with those that I could monitor with my smartphone, but I utilized everything else. One night, I was taking a bath and watching television when I began to hear consistent beeping; several minutes in between each one. It didn’t sound like what I thought my detectors were supposed to sound like, but perhaps I just misremembered. 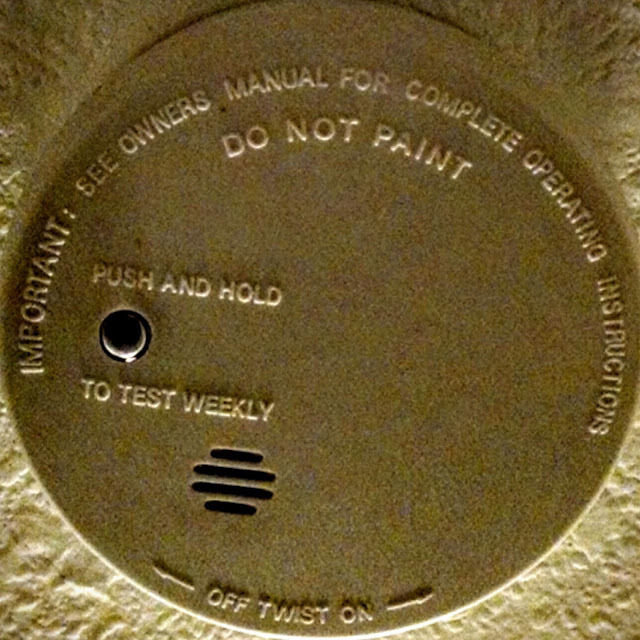 I stood under the main floor smoke detector and waited. When the beep came once more, I could tell that it wasn’t that one. I crouched down to the carbon monoxide detector, but it wasn’t that either. I opened the door to the basement, hoping that I wouldn’t have to go down, but when the beep came, I couldn’t be sure. Irritated, I slipped on some socks and shoes and walked down the steps. Not that one either, but maybe there was an old detector in there that I hadn’t noticed. There was an alarming number of smoke detector wall connections, most of which weren’t in use when I arrived, so that wasn’t out of the realm of possibility. I shone my flashlight, looking for it, all the while running into cobwebs. Another beep, but I was sure now that it was from upstairs. I went back up and continued to look for the source. A childhood nightlight my parents had me take even though I had no use for it? Of course not. My electronic book reader? Not a chance. I hadn’t picked that up in months, so it was well dead. This thing I don’t know what it is? Still can’t identify it, but no. Then I thought to check the antique chest I use as a coffee table. Inside were boardgames, quilts, and stuff I forgot about. When I opened it, I found all the old smoke detectors. I recklessly cracked one open. Now, I’m no electrician, but I found both the logic board for the detector, and what I could only describe as a bug. Someone had been spying on the previous owners. I was astonished and frightened. As I was inspecting it, the beep came once more, but not from the bug. It was above me, in the ceiling fan. I stood on the chest and reached up to a small video camera. As I drew it down, it interacted with the radio waves surrounding my phone, which meant that the camera was still operational, and even sending out a signal. I was the one being monitored.